AS “SAF Tehnika” informs that in accordance to the decision of annual general meeting that took place on November 28, 2014 to denominate share nominal value from lats to euro, the denomination date is set on January 15, 2015. The Articles of association are registered within Commercial registry on December 18, 2014. AS „SAF Tehnika” informs that the part of value (positive difference) arising as a result of denomination of shares from lats to euro will be paid out to the shareholders in the amount of EUR 0.02 per share on January 22, 2015. The new Articles of association. SAF Tehnika in cooperation with Latvian Electrical Engineering and Electronics Industry Association and the Investment and Development Agency of Latvia is taking part in a project "Partnership-oriented studies for electrical, electronics, and telecomunications industry workforce" aimed at raising the workforce's qualification levels and promotion of competitiveness (agreement No. L-APA-10_0019). The project implementation period goes from November 13th 2010 to June 1, 2015. 1. Regarding denomination of shares from lats to euro and amendments to the Articles of Association. 1.1.To carry out denomination of shares of joint stock company “SAF Tehnika” from lats to euro, by fixing that the share capital after the denomination is divided into 2’970’180 (two million nine hundred seventy thousand one hundred eighty) shares with each share’s nominal value of EUR 1.40 (one euro and forty cents). 1.2.To fix that that the denomination calculation date of shares of joint stock company “SAF Tehnika” is 15th working day counting from date when new Articles of Association are approved in in Register of Enterprises of the Republic of Latvia. “The Company can pay extraordinary dividends. The Board shall convene a shareholders meeting to decide on the extraordinary dividend payout, if it receives a corresponding application from shareholders and those shareholders represent not less than 50% and one share of the Company's share capital. 2. Approve the annual report of “SAF Tehnika” JSC and consolidated annual report of “SAF Tehnika” JSC and release the Board of Directors from responsibility for financial year 2013/2014. 3. Pay dividends in amount of EUR 0.04 (four cents) per share or altogether EUR 118 807.20 (one hundred eighteen thousand eight hundred seven euro and twenty cents), but the remaining profit from financial year 2013/2014 retain as Jsc.”SAF Tehnika”’s retained earnings. The record date is 15th December 2014. The payment date of dividends 22nd December, 2014. 4. Appoint KPMG Baltics SIA as the auditor of the “SAF Tehnika” JSC for the financial year 2014/2015 and determine the maximum remuneration for the auditor of the Annual Reports for the financial year 2014/2015 in the amount of EUR 12’000 (twelve thousand euro ), not including taxes provided by the legislative acts. Authorize the Board to sign the contract with the elected auditor for audit of the Annual Reports of „SAF Tehnika” JSC for the financial year 2014/2015. Please see at the attached file SAF Tehnika yearbook for FY 2012/2013. According to the agreement No. L-ĀTA-14-2194 (project No. ĀTA/2.3.1.1.1./14/62/027) concluded on between „SAF Tehnika” JSC and government institution „The Investment and Development Agency of Latvia” of a project „Participation of „SAF Tehnika” JSC in international exhibitions”, on November 11-13 company exhibited at AfricaCom 2014 in Cape Town, South Africa. During the exhibition SAF Tehnika presented Integra, Lumina, Spectrum Compact, Marathon and PhoeniX product lines. The biggest interest from visitors was shown about the Integra, Spectrum Compact and CFIP Lumina. Visitors of „SAF Tehnika” stand were mainly from Africa’s southern region countries. „SAF Tehnika” JSC is an ISO certified wireless data transmission equipment manufacturer. The company's products are produced in Latvia, Europe and sold in over 130 countries worldwide. „SAF Tehnika” has been listed on NASDAQ OMX Riga since 2004. Draft resolutions of ordinary shareholder's meeting on 28th of November, 2014 of SAF Tehnika JSC can be found in pdf document seen below. The “SAF Tehnika” Jsc. non-audited consolidated net sales for the first quarter of financial year 2014/15 were 3.2 million EUR, decreasing by 6.3% or 0.2 million EUR compared to the first quarter of the previous financial year and being by 7.6% less than sales in the previous quarter – Q4 of FY 2013/2014. The consolidated non-audited net profit for the first quarter of 2014/15 financial year was 285 thousand EUR, being by 155 thousand EUR more than for the quarter year before. The result was positively impacted by favorable EUR/ USD exchange rate. The net cash flow for the 3 month period of the financial year was positive – 1.44 million EUR. “SAF Tehnika” Jsc. will continue development of new, excellent quality microwave data transmission equipment by offering not only standardized products for general market, but by providing modifications according to specific customer requirements and looking for innovative ideas for application of microwave data transmission competence. Low latency solutions, data transmission in specific climate conditions, spectrum analyzer Spectrum Compact, and newly announced spectrum generator are examples of latest innovations. The Group is financially stable. The goal is to regain sales levels which ensures positive net result in a long-term. 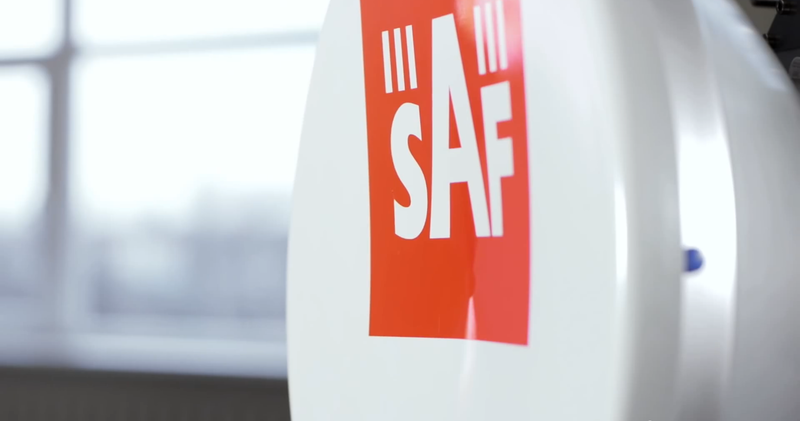 Due to intense competitive pressure the Board of the SAF Tehnika cannot provide certain prognosis for sales figures and operational results despite positive results of the reporting quarter. According to the agreement No. L-ĀTA-14-2194 (project No. ĀTA/2.3.1.1.1./14/62/027) concluded on between „SAF Tehnika” JSC and government institution „The Investment and Development Agency of Latvia” of a project „Participation of „SAF Tehnika” JSC in international exhibitions”, On October 21-24, 2014 the company exhibited at EUTC 2014 in Monacco. 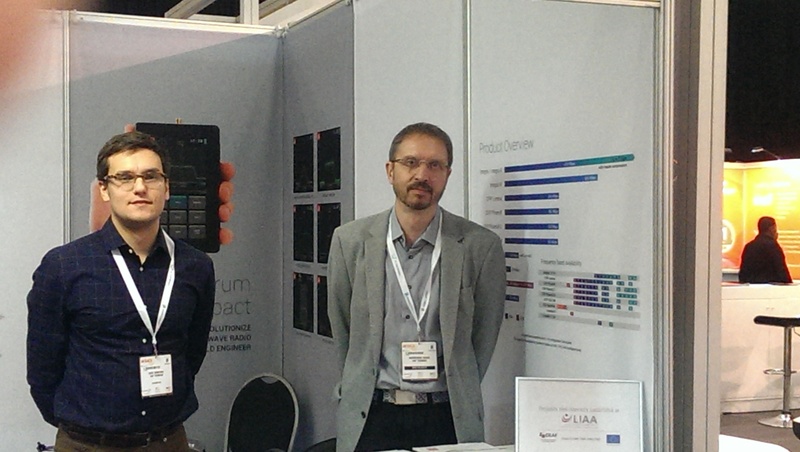 During the exhibition „European Microwave Week” there was presented Spectrum Compact spectrum analyzer. Visitors of „SAF Tehnika” stand were mainly from Monacco and other parts of Europe. According to the agreement No. L-ĀTA-14-2194 (project No. ĀTA/2.3.1.1.1./14/62/027) concluded on between „SAF Tehnika” JSC and government institution „The Investment and Development Agency of Latvia” of a project „Participation of „SAF Tehnika” JSC in international exhibitions”, on October 11th to 18th, 2014 the company exhibited at WISPAPALOOZA in Las Vegas, USA. During the exhibition „WISPAPALOOZA” there were presented Integra and Spectrum Compact product lines. Visitors of „SAF Tehnika” stand were mainly from different regions of USA and the main interest was about our newest product Integra. According to the agreement No. L-ĀTA-14-2194 (project No. ĀTA/2.3.1.1.1./14/62/027) concluded on between „SAF Tehnika” JSC and government institution „The Investment and Development Agency of Latvia” of a project „Participation of „SAF Tehnika” JSC in international exhibitions”, On October 5-10, 2014 the company exhibited at “European Microwave Week” which took place in Rome, Italy. 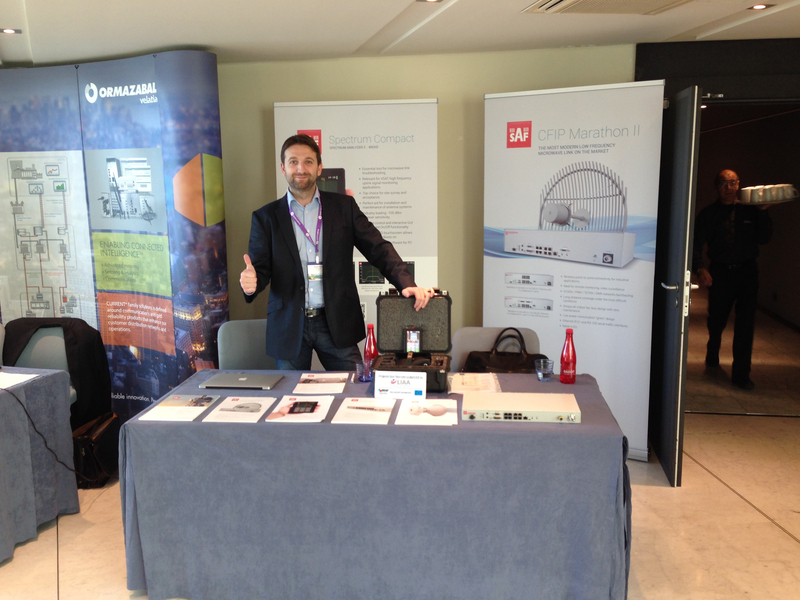 During the exhibition „European Microwave Week” there was presented Spectrum Compact spectrum analyzer. Visitors of „SAF Tehnika” stand were mainly from Europe. The Board of Directors of “SAF Tehnika” JSC (Reg.No.40003474109, legal address: 24a, Ganibu dambis, Riga, LV-1005, Latvia) informs that it convenes a regular shareholders’ meeting on 28th November 2014 at 10.00 a.m., at “SAF Tehnika” JSC meeting room (24a, Ganibu dambis, Riga, Latvia). Denomination of shares from lats to euro and amendments to the Articles of Association. Appointment of the auditor for the financial year 2014/2015 and determination of reward for the auditor. It is foreseen to accept amendments to the Articles of Association about payout of extraordinary dividends and due to the denomination of nominal share value from lats to euro. Planned date of denomination: 15th (fifteenth) working day counting from date when new Articles of Association are approved in the Register of Enterprises of the Republic of Latvia. Shareholders and their representatives can submit draft decisions regarding the issues of the agenda to be discussed on the shareholders meeting until 3th November 2014 at “SAF Tehnika” administration (Ganibu dambis 24a, Riga, LV-1005) every working day from 9.00 a.m. to 5.00 p.m. Draft resolutions on the issues of the agenda to be discussed on the shareholders meeting will be published on 14th November 2014. Draft resolutions will be available also on company’s webpage www.saftehnika.com, as well as at “SAF Tehnika” administration (Ganibu dambis 24a, Riga, LV-1005) every working day from 9.00 a.m. to 5.00 p.m.
Only persons or entities which are shareholders on the date of record will be entitled to participate in the shareholders’ meeting. The date of record is 21 November 2014. Registration of participants will take place at the venue on the day of the shareholders’ meeting – on 28th November 2014 from 9.30 a.m. until 10.00 a.m.
Shareholders at the registration have to present passport or other identification document. Representatives of shareholders at the registration have to show a power of attorney witnessed by a notary or a power of attorney legally equal to that and passport or other verifying document. The template of the power of attorney is available on company’s webpage www.saftehnika.com. “SAF Tehnika” publishes its audited consolidated and non-consolidated financial statements for financial year 2013/2014 (from July 1, 2013- June 30, 2014) according to Section 56th, 5th paragraph of „Law on the Financial Instruments Market”. Net turnover of the “SAF Tehnika” Group which consists of SAF Tehnika AS (hereinafter – the Parent) operating from Riga, Latvia, a wholly owned subsidiary “SAF North America LLC” and a joint-venture company “SAF Services LLC” where the Parent holds 50% of the company’s shares, in the 2013/ 2014 financial year was EUR 12.03 million or 9.9 % less than in the previous financial year (2012/ 2013). Considering the decline in demand in microwave radio market worldwide and the fierce competition, in the reporting year the Group performed its historically wide sales market assessment, focusing consequently on markets with strategically greater potential and decreasing resource involvement in less perspective regions. Also, Group’s assessment and identification of the needs of specific customers was aimed to develop niche product supply. Additional revenue was drawn from the development of specific customer required functionality of SAF Tehnika products and from technical consultations provided for network planning and construction. Export accounts for 97.2% of the turnover and was 11.69 million EUR. In the reporting period Group’s production was exported to 79 countries worldwide. To increase its competitiveness, the Group was searching for a possible object as to reduce product, manufacturing and other costs. In result, Group’s operational costs in the reporting year did not exceed budget levels, and, compared to the previous year, decreased for 10%. SAF Tehnika has secured its financial stability. Group’s net cash flow was positive regarding the 12 month period and constituted 1.27 million EUR. In the reporting period, the Group invested 242 thousand EUR into IT infrastructure, production and research equipment, software, licenses and product certification purchases. The “SAF Tehnika” Group finalized financial year 2013/ 2014 with a profit of 127 thousand EUR. The Parent company’s financial result for 2013/2014 was a profit 119 thousand EUR. The main difference between interim non-audited consolidated statements (published on August 13, 2014) for FY 2013/2014 and audited statements is due to corrections in reevaluation of long-term investments. Click on the image below to read our latest news and product updates in SAF's latest Newsletter. The Microwave Journal has published a small but usefull tech brief about our excellent Spectrum Compact in the September issue. To read it, click on the image below. According to the agreement L-ĀTA-14-2194 (project No. ĀTA/2.3.1.1.1./14/62/027) regarding implementation of the project "Participation of "SAF Tehnika" JSC in international exhibitions" and concluded between „SAF Tehnika” JSC and government institution „The Investment and Development Agency of Latvia” of a project „Participation of „SAF Tehnika” JSC in international exhibitions”, on September 11 – 16, 2014 the company exhibited at “IBC 2014” which took place in Amsterdam, the Netherlands. During the exhibition „IBC 2014” there were presented Spectrum Compact product series as well as PhoeniX radios. Majority of “SAF Tehnika” stand visitors were existing and potential clients mainly from the Netherlands, Benelux and other European countries. „SAF Tehnika” JSC is an ISO certified wireless data transmission equipment manufacturer. The company's products are produced in Latvia, Europe and sold in over 130 countries worldwide. „SAF Tehnika” has been listed on NASDAQ OMX Riga stock exchange since 2004. According to the agreement L-ĀTA-14-2194 (project No. ĀTA/2.3.1.1.1./14/62/027) regarding implementation of the project "Participation of "SAF Tehnika" JSC in international exhibitions" and concluded between „SAF Tehnika” JSC and government institution „The Investment and Development Agency of Latvia” of a project „Participation of „SAF Tehnika” JSC in international exhibitions”, on September 9 – 11, 2014 the company exhibited at “CTIA 2014” which took place in Las Vegas, USA. During the exhibition „CTIA 2014” there were presented Spectrum Compact product series as well as company's newest product SG Compact. Majority of “SAF Tehnika” stand (Booth #4058, Sands Expo and Convention Center) visitors were existing and potential clients mainly from the USA. 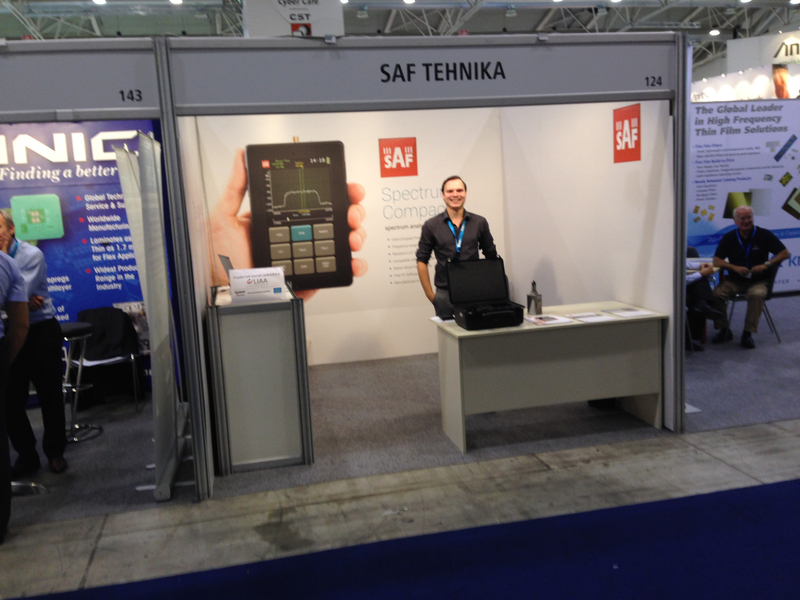 For over a decade SAF Tehnika has created and designed excellent microwave radios. Leveraging our 15 years of experience we created the world’s smallest and lightest microwave spectrum analyzer. Now it’s time to present our latest product for field engineers - the signal generator SG Compact! Our experience with Spectrum Compact has proven to help companies save money and make field engineers’ work easier. Growing demand and positive feedback from all over the world has led us to expand this product family with a new entry – the SG Compact. This device is essential for antenna alignment and testing, line-of-sight verification and different microwave system analysis and measurement applications. SG Compact has the same industry leading form-factor as Spectrum Compact. The device is about the size and weight of a cell-phone. SG Compact also has a resistive touchscreen allowing you to work with gloves on. The device operates within a frequency range of 6-18GHz, and we’re working on broadening the range. • Line of Sight (LoS) verification. An effective and easy solution for when it’s not clear whether the planned radios will have line of sight when installed. Use SG Compact to send an unmodulated signal in the chosen frequency to a Spectrum Compact unit at the remote site to verify line of sight with 100% accuracy! • Antenna alignment prior to radio installation. Before installing radios, attach an SG Compact to one of the installed antennas, and a Spectrum Compact to the other to perform a quick and easy alignment. • Waveguide verification. With SG Compact, you can verify that the waveguides are not defective before installing the link, something that required expensive laboratory equipment before. • Antenna gain measurement. Attach an SG Compact to an antenna and place a Spectrum Compact a few feet away to measure the antenna gain. SAF Tehnika is proud to announce a new Spectrum Compact version for the 2-8GHz bands, expanding the previous SC range of 6-40GHz. It will have the same form-factor and resistive touchscreen as well as an industry leading receiver sensitivity of -105 dBm, an intuitive graphical user interface and instant on/off functionality as previous Spectrum Copmact devices. Spectrum Compact is an ultra-light and easy to use measurement solution for the 2 - 40 GHz licensed microwave frequency bands. This battery-powered device is a must-have tool for any microwave radio engineer performing equipment installation, link troubleshooting and site planning. The LCD touchscreen ensures smooth and intuitive onsite use, and the SMA connector allows the Spectrum Compact to integrate with any vendor’s antenna or waveguide system. Designed specifically for comfortable outdoor use by microwave network engineers, Spectrum Compact can also be used for various applications in VSAT environment, ranging from signal monitoring to link troubleshooting and interference detection. The Spectrum Compact can be used for high precision detection of existing interference on installed paths or available radio channels. Data logging of all spectrum scans is available with the Spectrum Compact device, and enhanced data processing and analysis are provided by SAF Tehnika designed PC software for your laptop. For more information about SG Compact and Spectrum Comopact devices, please contact your local SAF sales manager! The SAF Tehnika’s non-audited consolidated net sales for the fourth quarter of financial year 2013/14 were 3.46 million EUR, increasing by 4% or 0.12 million EUR compared to the fourth quarter of the previous financial year and being by 1.14 million EUR more than sales in the previous quarter – Q3 of FY 2013/2014. This was the best quarter in terms of sales for the reporting financial year. The consolidated non-audited net sales for the 12 months of the financial year 2013/14 were 12.03 million EUR representing a year-on-year decrease of 9.86%. Europe and CIS region sales were by 2% higher than previous year, but this increase did not compensate 34% decrease in sales in Asia, Middle East and Africa countries where competition in the wireless backhaul equipment market remains fierce and vendors are squeezed by price wars. Americas result was by 0.3 million or 6% worse than year before. The consolidated non-audited net profit of the SAF Tehnika for the fourth quarter of 2013/14 financial year was 699 thousand EUR, being by 678 thousand EUR more than for the quarter year before. The non- audited consolidated net profit for the 12 months of 2013/14 financial year was 119 thousand EUR (last year’s net profit 21 thousand EUR). SAF Tehnika is the company with the long-term competence in the market niche of microwave radio, capable to deliver excellent quality products for general market and differentiating developing customer tailored solutions. The SAF Tehnika is financially stable and capable to withstand economic turmoil in the situation when others fail. The task for SAF Tehnika is to continue development of next generation wireless data transmission devices with focus on functionality, product cost reduction, customer satisfaction and efficient production and internal operations. The goal is to regain sales levels, which ensures positive net result in a long-term. Due to intense competitive pressure, the Board of the SAF Tehnika cannot provide certain prognosis for sales figures and operational results despite positive results of the reporting quarter. On June 30, 2014 the SAF Tehnika group employed 170 people. Click on the image below to read about the release of highly anticipated Integra-S, upcoming events and exhibitions, and one of our latest case studies about Spectrum Compact. On June 17, 2014 „SAF Tehnika” JSC and government institution „The Investment and Development Agency of Latvia” concluded agreement No. L-ĀTA-14-2194 (project No. ĀTA/2.3.1.1.1./14/62/027) regarding implementation of the project "Participation of "SAF Tehnika" JSC in international exhibitions" co-financed by European Regional Development Fund. Project expenses estimate altogether - 198 541.04 EUR. By participating in exhibitons, the company has its goals - to increase sales of “SAF Tehnika” products and to enchance brand awareness worldwide, the same as to strengthen cooperation with existing partners and to attract new clients. 05.11.2014 - Non-audited financial results of FY 2014/15 for Q1. 04.02.2015 - Non-audited financial results of FY 2014/15 for Q2 and 6 months. 13.05.2015 - Non-audited financial results of FY 2014/15 for Q3 and 9 months. 12.08.2015 - Non-audited financial results of FY 2014/15 for Q4 and 12 months. Latest newsletter is out! click on the image below to read about the release of the 17GHz Integra as well as our latest whitepaper about the benefits of Part 101 link use for broadcasting. And as always - all the latest news and upcoming events! The “SAF Tehnika” Group’s non-audited net sales for the third quarter of financial year 2013/14 were 2.3 million EUR, decreasing by 37% or 1.35 million EUR compared to the third quarter of the previous financial year and being by 19% lower than sales in the previous quarter – Q2 of FY 2013/2014. The Group’s consolidated non-audited net sales for the 9 months of the financial year 2013/14 were 8.56 million EUR representing a year-on-year decrease of 16%. The consolidated net loss of the Group for the third quarter of 2013/14 financial year was -353 thousand EUR. The consolidated net loss of the Group for the 9 months of 2013/14 financial year was -580 thousand EUR. Even though there is clear slowdown on the market in terms of microwave radios consumed to backhaul traffic in mobile/cellular networks - in SAF’s opinion other segments on the market do continue to enjoy period steady development. The trend of growing capacity demands is expanding from developed markets in Europe and USA into other regions at increasing pace. Thus the Group is cautiously optimistic about growth near to midterm prospects on the radio market. The main task for the Group is to regain previous sales levels and positive net result. The Group will continue to develop Integra product line and will focus on specific niche products and solutions with the goal to satisfy ever increasing demand for efficient, qualitative, price attractive, high capacity data transmission products in the wide frequency range. Notwithstanding the financial results of the reporting period, the Group remains financially stable and confident to withstand periods of lower business activity. Due to intense competitive pressures, the Board of the Group does not assume any specific predictions of sales and financial results of the next reporting periods. Click on the image below to read April's newsletter. In it you'll find the info about upcoming exhibitions as well as our latest product updates and other usefull information such as the release of animated series of tutorials for Spectrum Compact. Enjoy! 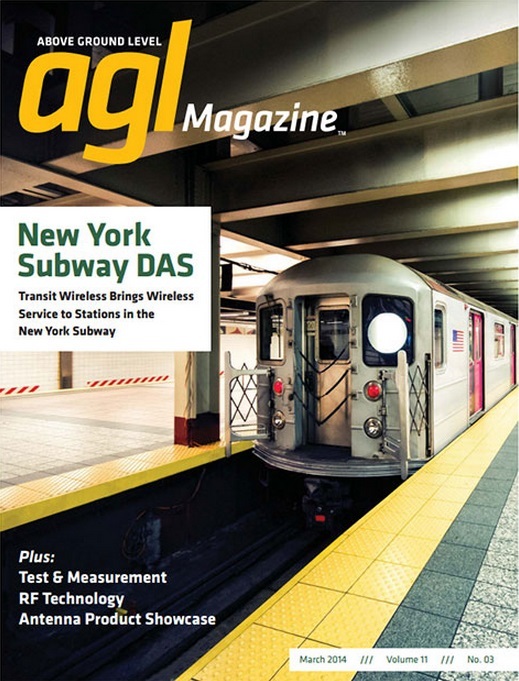 AGL Magazine - the biggest printed tower industry-related media in the United States – has noticed our superior spectrum analyzer. In magazine’s March issue they have published quite large article about the advantages, functionality and benefits of the spectrum analyzers and SAF Spectrum Compact in particular. Apart from printed version the magazine's March issue is also available for online reading and downloading here. The article explains the biggest advantages of using Spectrum Compact when installing and troubleshooting your microwave network and is definitely worth of your time. To read our article, please click on the image below! Straight Path Spectrum, Inc. a subsidiary of Straight Path Communications Inc. (NYSE MKT: STRP) - a holder of a US nationwide portfolio of 39 GHz FCC licensed spectrum, and SAF Tehnika JSC (NASDAQ OMX: SAF1R), a leading designer and manufacturer of point-to-point microwave data transmission equipment, announced today a bundled solution that includes SAF's best-in-class radios with guaranteed spectrum connectivity from Straight Path. This innovative offering provides wireless network operators with a faster, more competitively priced method to deploy commercially licensed wireless links. The solution offers a compelling alternative to the traditional Part-101 licensed frequencies, particularly for those network operators who need rapid deployment in one of the many U.S. cities facing frequency congestion. 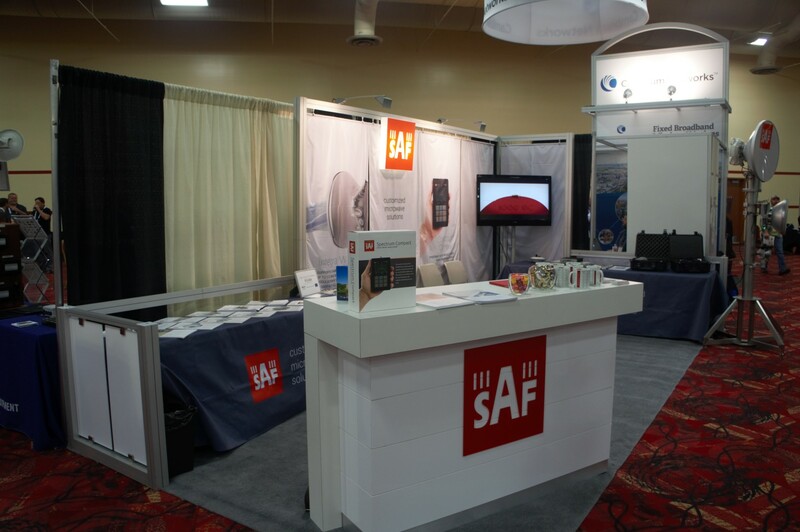 "SAF is excited to provide a one-stop-shop experience with easy-to-lease, commercially licensed spectrum, coupled with our in-stock 39GHz CFIP-Lumina radios and upcoming 39GHz Integra radios," remarked Daniel White, Managing Director for SAF North America. "We see the advantage of 39 GHz spectrum for many network applications and anticipate a rapid adoption by network operators to meet surging data demands. SAF has been committed to producing effective radios in this 39 GHz band, so partnering with Straight Path is a natural next step." Davidi Jonas, Straight Path Spectrum's CEO commented, "We are excited to partner with SAF Tehnika, one of the leading equipment manufacturers in the microwave wireless industry. Utilizing our 39 GHz spectrum as part of a bundled solution will allow wireless service providers to deploy a cost effective solution that can be operating almost immediately, without the need to apply for separate spectrum licenses. The reliability of SAF radios combined with the guarantee of our 39 GHz Spectrum should make it an attractive offering for any network operator deploying a wireless network, and particularly those building in congested urban areas." SAF Tehnika JSC (NASDAQ OMX: SAF1R) is a unique designer and manufacturer of point-to-point microwave data transmission equipment. Located in Northern Europe, SAF Tehnika managed to acquire and consolidate valuable locally available intellectual resources of the microelectronics industry and spread its presence to more than 130 countries all over the world, covering all relevant market segments within just a decade. Additional information is available on SAF's website at www.saftehnika.com. In this press release, all statements that are not purely about historical facts, including, but not limited to, those in which we use the words "believe," "anticipate," "expect," "plan," "intend," "estimate, "target" and similar expressions, are forward-looking statements within the meaning of the Private Securities Litigation Reform Act of 1995. While these forward-looking statements represent our current judgment of what may happen in the future, actual results may differ materially from the results expressed or implied by these statements due to numerous important factors, including, but not limited to, those described in Straight Path Communications Inc.'s Annual Report on Form 10-K for the fiscal year ended July 31, 2013 and our other periodic filings with the SEC (under the headings "Risk Factors" and "Management's Discussion and Analysis of Financial Condition and Results of Operations"). We are under no obligation, and expressly disclaim any obligation, to update the forward-looking statements in this press release, whether as a result of new information, future events or otherwise. According to the agreement No. L-ĀTA-13-1718 (project No. ĀTA/2.3.1.1.1./13/54/036) concluded on between „SAF Tehnika” JSC and government institution „The Investment and Development Agency of Latvia” of a project „Participation of „SAF Tehnika” JSC in international exhibitions”, on March 10 – 14, 2014 the company exhibited at “CeBIT 2014” which took place in Hanover, Germany. 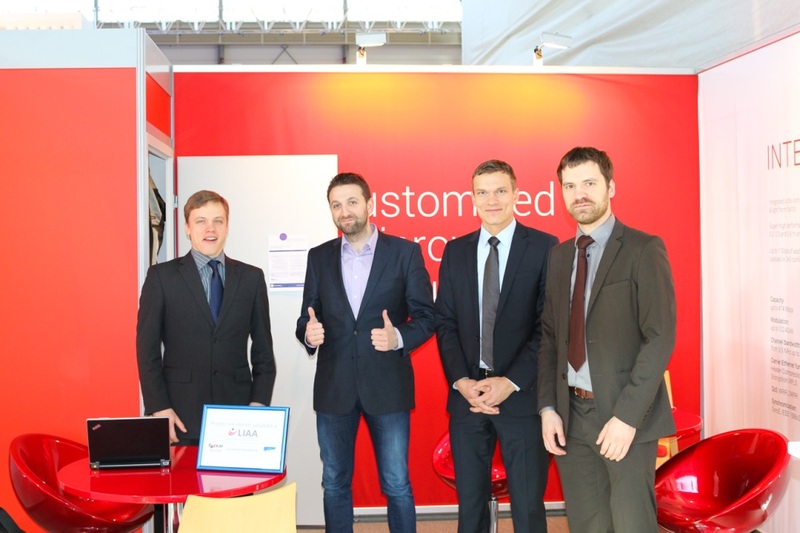 During the exhibition „CeBIT 2014” there were presented CFIP and the Integra product lines of „SAF Tehnika”, as well as microwave spectrum analyzer Spectrum Compact. The majority of “SAF Tehnika” stand (B22/1 at hall 12) visitors were existing and potential clients from Europe and nearest regions. „SAF Tehnika” JSC is an ISO certified wireless data transmission equipment manufacturer. The company's products are produced in Latvia, Europe and sold in over 100 countries worldwide. „SAF Tehnika” has been listed on NASDAQ OMX Riga since 2004. „SAF Tehnika” Jsc. (SAF) informs that, according to export credit guarantee agreement, on 18 March, 2014 company has received a compensation amounting to 520 thousand USD for equipment delivered for Brazilian partner, who purchased SAF’s equipment for implementation of the Brazilian TV broadcast network building project and has not paid for it. SAF’s equipment was purchased in December 2012 and the total amount of the equipment delivered was 578 thousand USD. Click on the banner below to read our monthly newsletter! According to the agreement No. L-ĀTA-13-1718 (project No. ĀTA/2.3.1.1.1./13/54/036) concluded on between „SAF Tehnika” JSC and government institution „The Investment and Development Agency of Latvia” of a project „Participation of „SAF Tehnika” JSC in international exhibitions”, during February 4-5, 2014 the company exhibited at “Animal Farm 8” which took place in Salt Lake City, Utah, USA. During the exhibition „Animal Farm 8” there were presented CFIP and Freemile product lines of „SAF Tehnika”, as well as microwave spectrum analyzer Spectrum Compact. The biggest part of “SAF Tehnika” visitors were from United States. Click on the image below to read SAF newsletter. The SAF Tehnika Group’s consolidated non-audited net sales for the second quarter of financial year 2013/14 were 1.99 million LVL (2.84 million EUR), decreasing by 25.8% compared to the second quarter of the previous financial year and being by 17% lower than sales in the previous quarter – Q1 of FY 2013/2014. The sales were substantially lower than planned as deliveries of several large orders were postponed to year 2014. The Group’s consolidated non-audited net sales for the 6 months of the financial year 2013/14 were 4.4 million LVL (6.25 million EUR) representing a year-on-year decrease of 5%. The main reasons for the decrease were: weakness in AsiaPasific, Africa, MiddleEast, where sales of the first 6 months of this financial year were 1.04 million LVL (1.48million EUR) or 13% lower than in the first half of FY 2012/13, and slowing sales in Americas – a decrease of 11%, while Europe, CIS showed 10% growth over the year due to more intensive sales endeavors. The consolidated net loss of the Group for the second quarter of 2013/14 financial year was -251 thousand LVL (-357 thousand EUR), which is by 81 thousand LVL (115 thousand EUR) larger loss compared with the same quarter in the previous financial year. The consolidated net loss of the Group for the 6 months of 2013/14 financial year was -160 thousand LVL (-227 thousand EUR). The Group is financially stable. The Group’s main tasks stays unchanged – development of the Integra product line and working on specific niche products and solutions with the goal to satisfy ever increasing demand for efficient, qualitative, price attractive, high capacity data transmission products in the wide frequency range. The Group has set tasks to strengthen sales team, enlarge customer base in a strategic markets and regain higher sales and profitability. Meanwhile the further company’s sales results largely depend on external factors such as availability of production components and financing allocation in customer’s organization, therefore the Board of the Group would like to avoid being specific in predictions of sales and financial result projections. 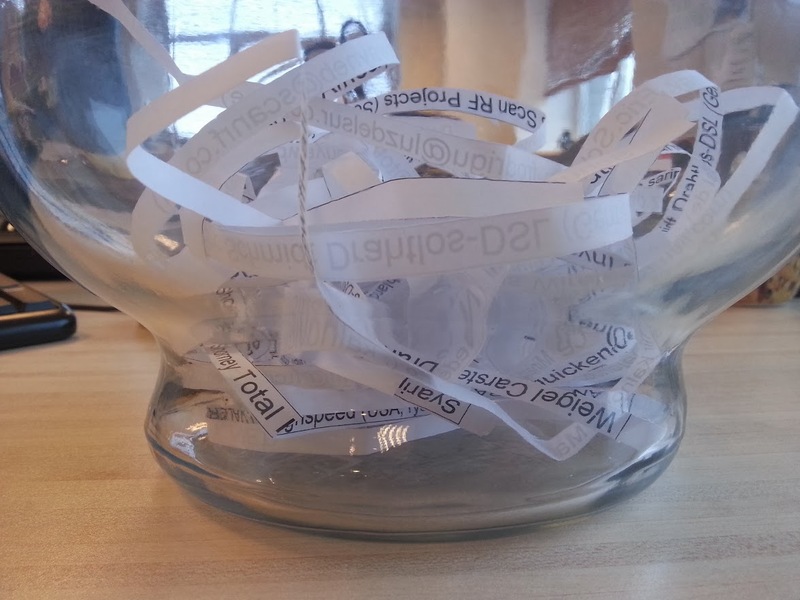 As usual, once in every three months we organize a lottery for all who have registered their SAF products in our website. This time the winner is Lance Minard from the US. Congratulations on your new iPad mini! How and when the prize will be delivered will be personally explained, but everyone else who has purchased our products, you’re welcome to register them in our website http://old.saftehnika.com/questionary/?659. The next lottery will be in March, and don’t forget - the more SAF products you register, the greater the chance of winning!